Long-weekend here in Quebec, gave me some much needed downtime and I finally had time to play in my craft room. Had so much fun with this one for the current Lawnfawnatics Challenge #7 Watercolor. What's better then a rainbow except maybe rainbow pineapples :) Had such fun with this design. I gold embossed the pineapples and used my Zig Clean Color Real Brush markers for both the pineapples and the background. 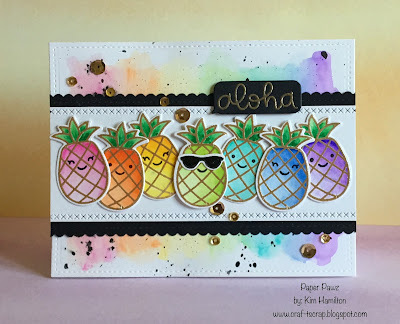 I used the new Aloha stamp set for this one. 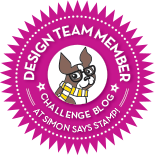 I also used the lawn Fawn stitched border dies for my white panel. The stitching worked well with the design on the pineapples and the back panel was die cut using the largest Stitched rectangle die. 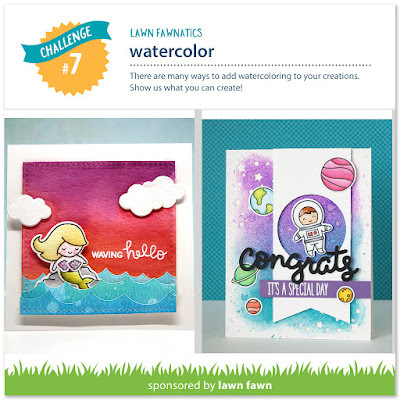 If you are a fan of Lawn Fawn like I am, you should check-out the challenge. 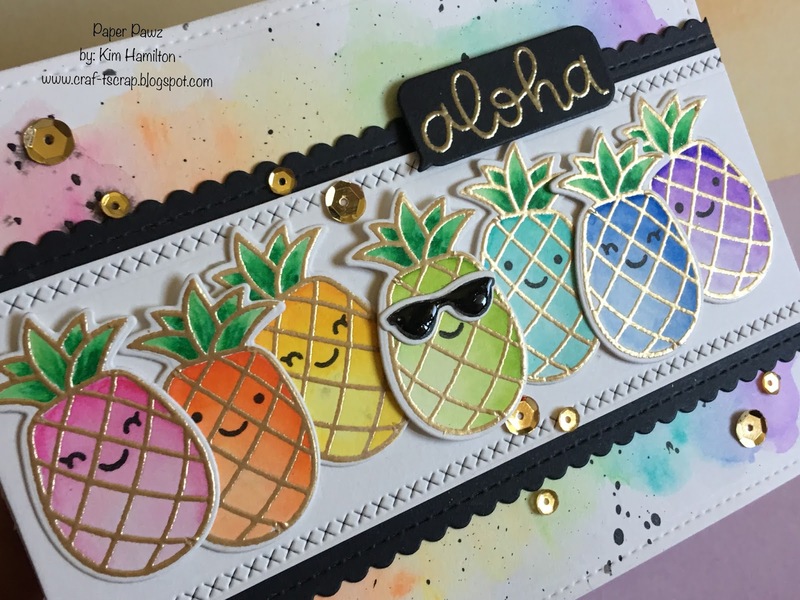 Your rainbow pineapples are so fabulous and the gold embossing looks so amazing! I love this card, it totally makes me smile! Thanks for sharing with us at Lawn Fawnatics! I love this! 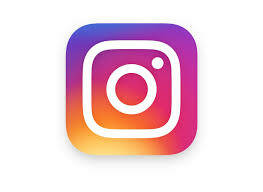 Your colors are amazing and the faces on the pineapples are adorable! Great job! Wow! !, absolutely cute and so colorful! !...love the gold touches too! Well this card is just fantastic! I love the splashes of rainbow colors and the sunglass-wearing pineapple cracks me up!